Having a few drinks with friends and family can be a great way to loosen up and socialize. Unfortunately, if a person chooses to drive after having a few too many, they can end up facing charges of driving under the influence (DUI). Many people feel as if a DUI arrest is an automatic conviction, and this belief has undoubtedly led several individuals to face undeserved consequences. Anyone arrested for a DUI should recognize the fact that evidence in a DUI case isn’t always perfect, and it can be disproved. Once a person has been arrested for driving under the influence, they’ll likely be taken to jail. Soon thereafter, the individual will be before a judge for their arraignment. Many individuals feel that they should just plead guilty, especially if there is breathalyzer evidence against them, in order to quickly get out of jail. Doing this, however, can lead to serious consequences that a person may not have otherwise had to face. It’s essential for a person to plead not guilty and then find a local experienced attorney. A local attorney will be knowledgeable about all the local and state laws regarding an individual’s case, including being familiar with the local police department and court system in the area. For example if faced with a DUI charge in NJ, Evan Levow would be equipped to represent a case with his ability to represent within 21 counties in the state. Prosecutors may make threats that the repercussions will be worse if an individual pleads not guilty, but this is just a scare tactic. If it comes down to it later, a plea can easily be changed. It’s also important to realize at this point that, if an individual has faced a DUI conviction previously, the consequences related to their actions will likely be more severe; and in some instances, it could even result in a felony DUI charge. Luckily, if an individual finds an experienced attorney, they may be able to disprove any of the following pieces of evidence. 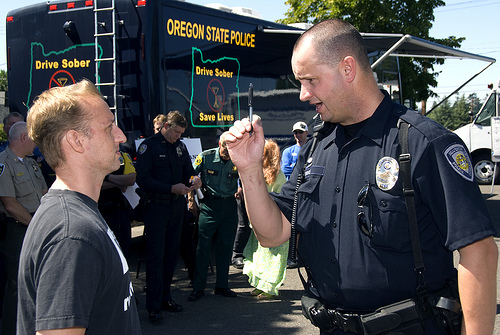 Breathalyzer tests are the gold standard when it comes to DUI convictions. Unfortunately, these devices aren’t foolproof, and a simple flaw in the machine or mistake by the officer can produce an invalid result. Recently in Pennsylvania, for instance, hundreds of DUI cases were called into question when it was discovered that a few Breathalyzer machines hadn’t properly been calibrated. In addition, these breath testing devices can also produce inaccurate results for those on certain diets or individuals who have recently had alcohol in their mouth. Police can also make mistakes by not observing their suspect. Most DUI arrest criteria require police to keep an eye on their subject to make sure they don’t vomit or belch. Either of these actions can cause alcohol to rise from the stomach and affect Breathalyzer results. When police don’t abide by their duties, DUI attorneys can show that any evidence against their client is flawed. Police can also make mistakes with physical field sobriety tests. There are only three actual tests, standing on one foot being one of them, that are approved for field sobriety testing. If these tests aren’t performed, or if they’re not performed correctly, an officer will have no real evidence to a person’s level of intoxication. Even blood and urine tests can be called into question. If police or medical professionals don’t follow testing and evidentiary protocol, for instance, it can taint a test sample and make it useless for trial. Additionally, if the amount of time between a person’s arrest and their blood or urine test is too long, their body may have absorbed additional alcohol that hadn’t been properly absorbed while they were driving. This means that a person could have been driving legally when arrested but then become drunk as more alcohol absorbed in their system. Driving under the influence is a serious crime that no one should take a chance on committing. Once a person is arrested for the crime, though, they’ve got several decisions before them. DUI evidence, from field sobriety tests all the way to urine analyses, is often an imperfect science. When this is the case, it is unlawful for that evidence to be used against a person. A DUI arrest should never be taken as an automatic conviction; an experienced attorney can greatly increase the chance that an individual can get off without their life being ruined. Researcher and legal writer Lisa Coleman shares some tips of what it takes to disprove evidence in a DUI case. She recently researched online how Evan Levow, an experienced DWI/DUI attorney, is equipped to represent and counsel a person charged with a DUI and help disprove evidence in a case within the state of New Jersey.